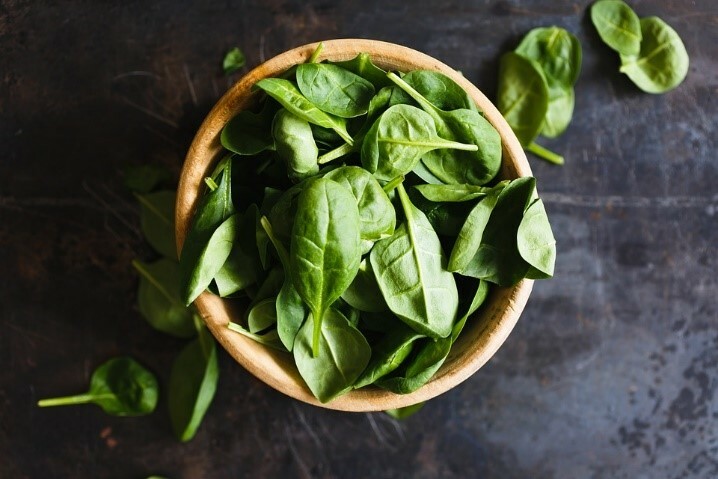 April 2018 Food of the Month - Spinach — Spectrum Health Services, Inc.
Did you know that more than 80% of American’s don’t meet the recommendations for vegetable intake? It’s recommended that adults eat a minimum of 2-3 cups of vegetables each day and spinach is a great way to meet this goal. Spinach is high in Vitamins A and C and also contains fiber and iron. This versatile green can be used in salads, stir fry’s, smoothies, side dishes and more! Try the spinach containing green smoothie recipe below as a way to get vegetables some greens in at breakfast! Directions: Blend all ingredients together. If too thick, add water to thin. For more information or to suggest other complementing recipes, please contact our nutritionist at 215.471.2761 or send us a message!